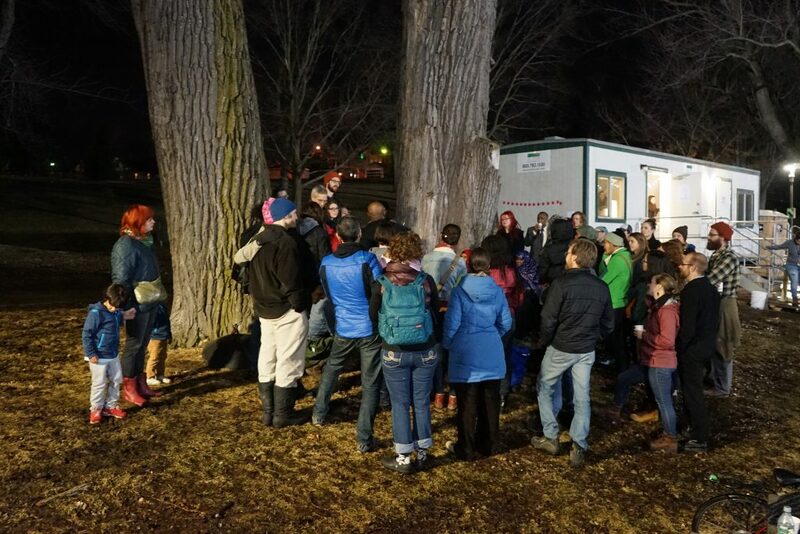 Northern Lights.mn in partnership with The City of Bloomington and Artistry is proud to announce Illuminate South Loop, a three-day event that will take place at Bloomington Central Park (8100 33rd Avenue South) in Bloomington’s South Loop District from February 1 – 3, 2018. 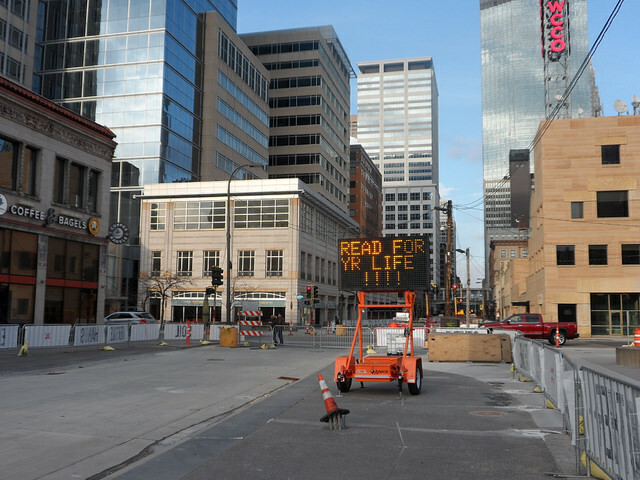 The event will be a unique addition to the lineup of activities leading up to Super Bowl LII, showcasing a variety of interactive art installations and performances designed and produced by Minnesota and international artists. This creative placemaking initiative focuses on leveraging the power of the arts, culture and creativity to engage the community. Located just off the METRO Blue Line light rail at Bloomington Central Station, Illuminate South Loop will feature brilliantly illuminated art installations and performances, as well as bonfires, warm drinks, and regional favorites from Chef Paul Lynch of Urbana Craeft Kitchen at the Hyatt Regency by Mall of America®. 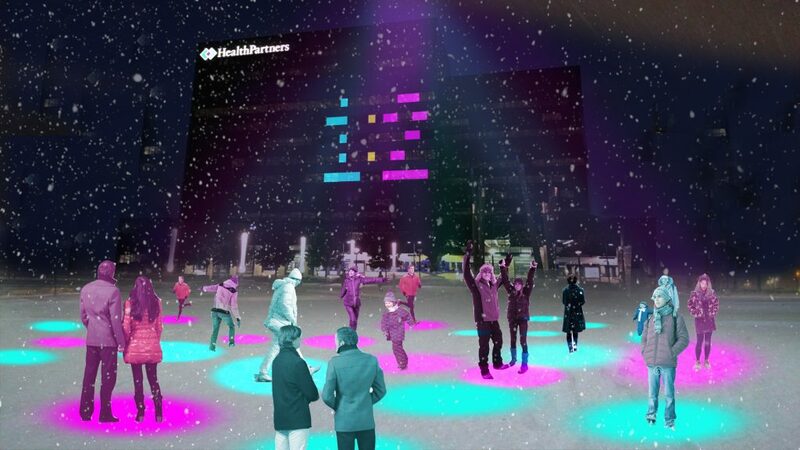 Visitors to Illuminate South Loop will experience large-scale, illuminated artworks, including a “scoreboard” by Montreal-based Daily Tous Les Jours that will light the facade of the HealthPartners building, connected to a game on the ground that visitors can play. 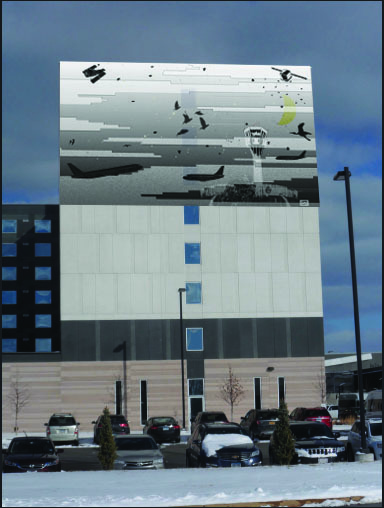 Another installation from New York-based artists Marina Zurkow and Paul Paradiso, Flight, will gather real-time data from the nearby MSP International Airport and other sources, and project a dynamic animation on the exterior wall of the Hyatt Regency. Duck, Duck, What? by Minnesota-based Robin Schwartzman provides participants a chance to vote for their preferred title of the popular children’s game Duck, Duck, Grey Duck/Goose. 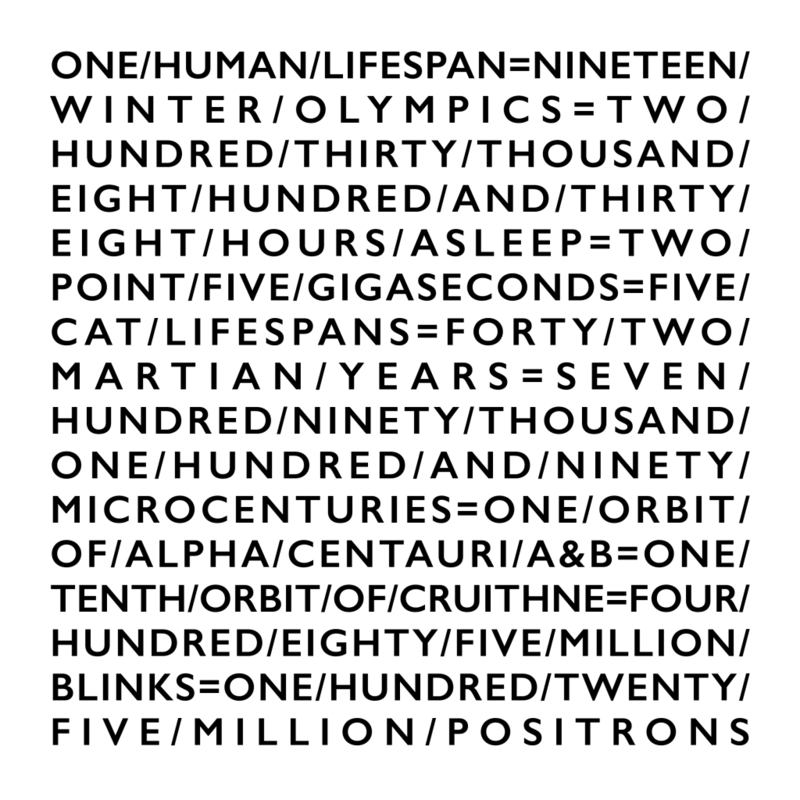 A multimedia installation that seeks to bridge the awe-inspiring scale of astronomical space and time with objects more familiar to humans. Daily Tous Les Jours, Score! A spontaneous, collaborative, open-ended, multiplayer, light-based game with a giant scoreboard. A large-scale sculptural projection which transplants a endlessly looping summertime river scene into the frozen Minnesota winter. Gives visitors to the Minnesota winter a place to warm themselves, while enjoying the traditional tea and rich culture of the state’s Somali residents. 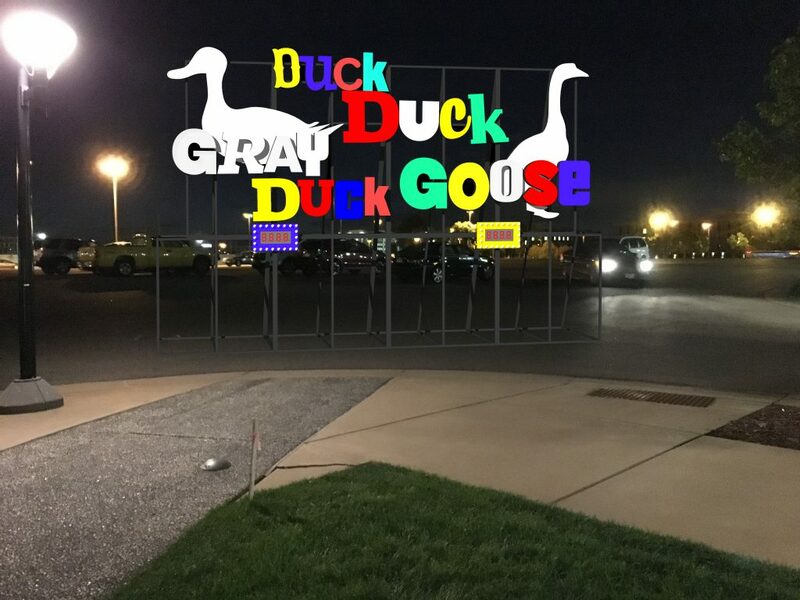 A playful, illuminated scoreboard that invites participants to vote for their version of the game: Duck Duck Grey Duck or Goose. Explores the notion of “air” through both poetic and practical views. Join us for a late afternoon reception on the final day of Illuminate South Loop. 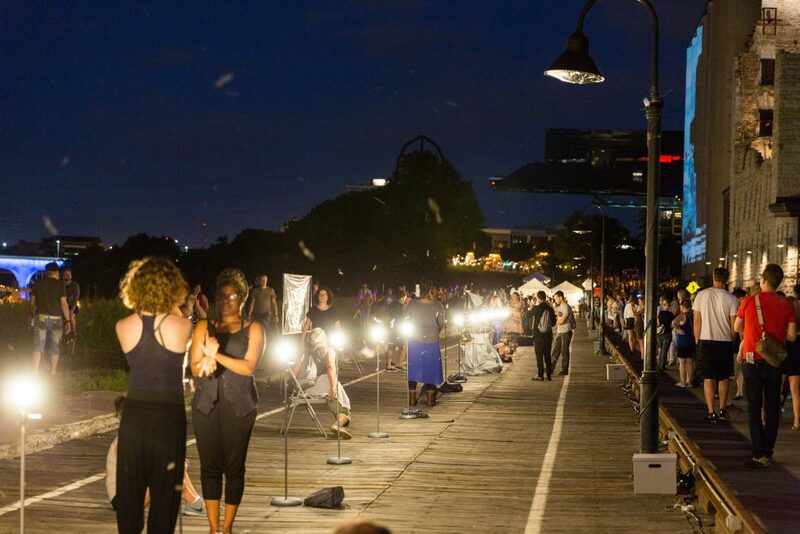 Mingle with Illuminate artists and raise a glass to celebrate a park full of art and creativity. Enjoy food and drink by Chef Paul Lynch of Urbana Craeft Kitchen in a cozy, heated tent amidst the festivities. Come for cheer hour and stay for the lights! Join the Illuminate South Loop on Facebook and get the latest updates. South Loop is a rapidly developing neighborhood in Bloomington, which is adjacent to Minneapolis/St. Paul International Airport, and home to Mall of America, Bloomington Central Station and the Minnesota Valley National Wildlife Refuge. By 2020, on a typical day the South Loop will have 6,000 residents, 9,000 hotel guests, 35,000 employees and 115,000 Mall of America visitors. Creative Placemaking in the South Loop is a project of the City of Bloomington and Artistry. The evolving field of Creative Placemaking works to build vibrant, distinctive, and sustainable communities through the arts. It engages the community, artists, and other stakeholders in building social fabric and local economics while making physical, place-based improvements, leveraging the distinctive character and creative and cultural resources of each place. Artistry is an independent nonprofit that serves a regional audience of more than 94,000 people annually. In pursuit of artistic excellence, Artistry engages the region’s most talented artists in work that welcomes and develops audiences and opens hearts and minds. Artistry’s vision is a diverse, distinctive, and progressive community widely recognized for making art and artists essential to a vibrant social fabric and civic life. Core support from Illuminated South Loop comes from the City of Bloomington Placemaking Commission. 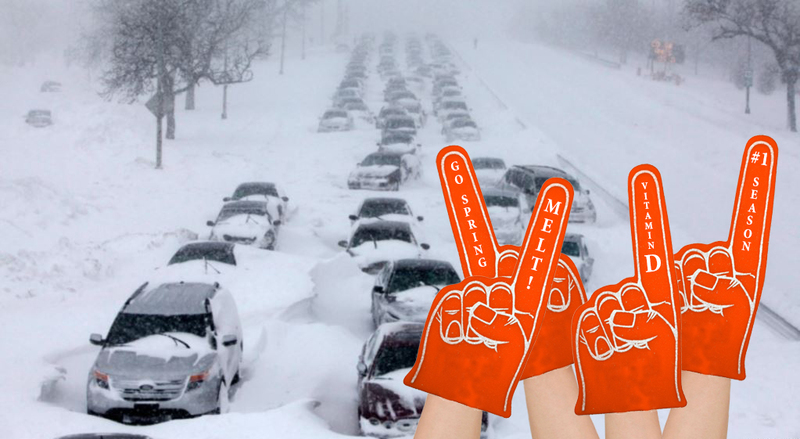 In addition, McGough, HealthPartners, andHyatt Regency by Mall of America®. Robin Schwartzman, Duck Duck What?